When Roshawnna Novellus visited a university in China as a UC Santa Cruz senior, the students assumed she was a sports or television star. Novellus, now 38, lives in Atlanta and has become a star in her own right. Known professionally as “the Wealthy Yogi” for her combination of mindfulness and financial savvy, she has been featured in Huffington Post, the Wall Street Journal, and Fast Company magazine, and recently authored several articles for Forbes magazine. Novellus cofounded two businesses, Novellus Financial and Bootstrap Capital, and serves on Atlanta’s Commission on Women. Now working on her third finance-related book, she holds a coveted spot on Georgia Trend magazine’s 2017 “40 Under 40” list. This powerhouse entrepreneur grew up in San Diego, where both her parents were teachers. Before graduating high school—as valedictorian and homecoming queen—she applied for 200 scholarships and received over $600,000 in educational funding. 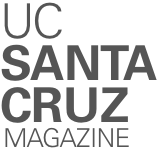 Her two concurrent undergraduate degrees from UC Santa Cruz were followed by a master’s degree from Rensselaer Polytechnic Institute and a doctorate of science from George Washington University. Novellus applies that concept to everything from meditating and working out to creating her latest venture, EnrichHer, a crowdfunding platform designed to support women-led businesses.